Malcolm Farnsworth: Who says Abbott should flick the switch to positive? 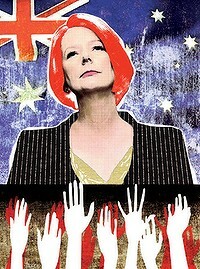 Mumble / Peter Brent: Is Abbott popular? Posted in Weekly summary and tagged Ben Eltham, George Megalogenis, GrogsGamut, Laura Tingle, Malcolm Farnsworth, Michelle Grattan, Paul Daley, Paul Kelly, Peter Brent, Peter Browne, Pollytics, Ross Gittins, Shaun Carney on December 16, 2011 by Drag0nista.